Most Americans are just a twist of the tap away from safe, cheap (pennies per treated gallon), and abundant drinking water. But this remarkable public health and engineering triumph—made possible by drinking water treatment—did not appear overnight! It can, however, be traced to a pivotal day in U.S. public health history in Jersey City, New Jersey, located on the west bank of the Hudson River across from Lower Manhattan. 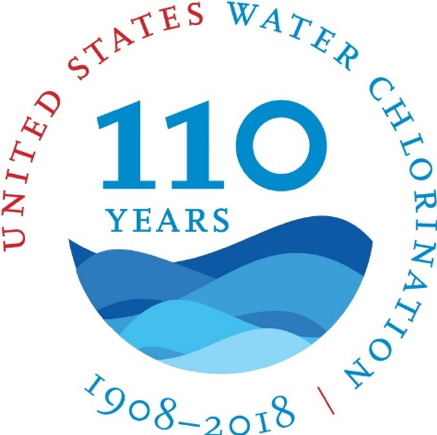 Today, September 26, 2018, marks the 110th anniversary of the first continuous use of chlorine to disinfect a U.S. public water supply. That seemingly obvious innovation was anything but in the early 1900s, yet led to further dramatic increases in the life span of Americans. As city after city adopted drinking water chlorination and filtration, typhoid fever and other waterborne disease and death rates plummeted across the nation. This remarkable story also features the pioneering and courageous work of a still mostly unknown hero of public health, Dr. John L. Leal, whom we’ve written about before. High rates of waterborne disease and death—especially among infants and small children—were a tragic fact of life in the rapidly urbanizing landscape of Jersey City and elsewhere in the United States of the early twentieth century. We now know that a cycle of waterborne illness is virtually inevitable when upstream communities discharge untreated sewage to rivers and streams that are then used as untreated drinking water sources by downstream communities. In 1904, a new, untreated water supply for the over 200,000 residents of Jersey City was secured from the nearby Boonton Reservoir, and not surprisingly, the high waterborne disease death rates persisted. But that was all about to change. 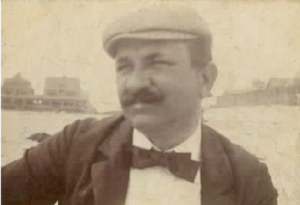 John Laing Leal was a New Jersey physician, a health officer for the nearby City of Patterson, and sanitary advisor to the Jersey City Water Supply Company. He had witnessed and experienced personal loss from waterborne disease. Dr. Leal was also a student of microbiology, which was still in its infancy. His laboratory studies convinced him that the addition of a very small amount of “chloride of lime” (calcium hypochlorite) at less than one part per million to drinking water would eliminate the pathogens that were sickening residents in Jersey City. A series of high-profile court cases questioning the “pure and wholesome” character of the Boonton Reservoir water supply gave Dr. Leal and colleagues, particularly the eminent sanitary engineer George Warren Fuller, a unique opportunity to test Leal’s then-revolutionary concept in Jersey City. The rest, as they say, is history. By 1914, 53 percent of all people served by U.S. public water supply systems were consuming chlorinated water. Happily, there is an excellent book by Dr. Michael J. McGuire, The Chlorine Revolution: Water Disinfection and the Fight to Save Lives, which documents this fascinating story. Unfortunately, according to the World Health Organization, every year, 361,000 children under 5 years of age die from diarrhea due to poor access to safe water, sanitation, and hygiene. However, the United Nations has assigned one of its 17 Sustainable Development Goals (SDG 6) to clean water and sanitation for all, and recognizes its achievement as critical to reaching many of the other SDGs. The fight to save lives with chlorine disinfection remains far from over.